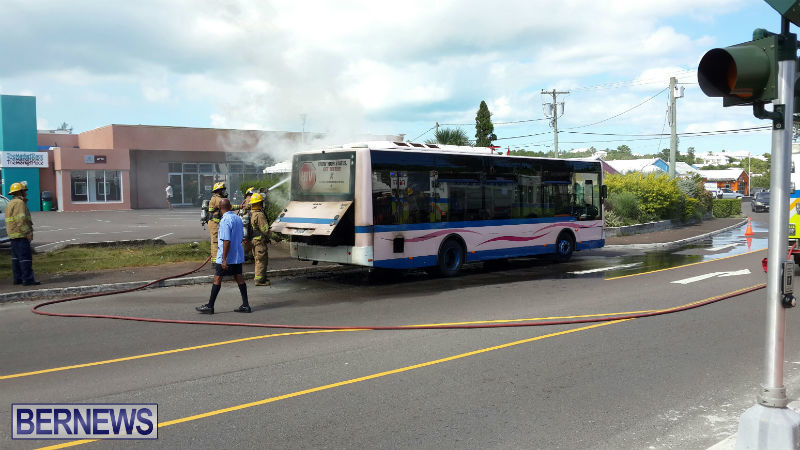 [Updated] The motoring public is being advised of traffic delays this afternoon [Sept 9] on Middle Road in Southampton due to an incident involving smoke issuing from a public transportation bus. 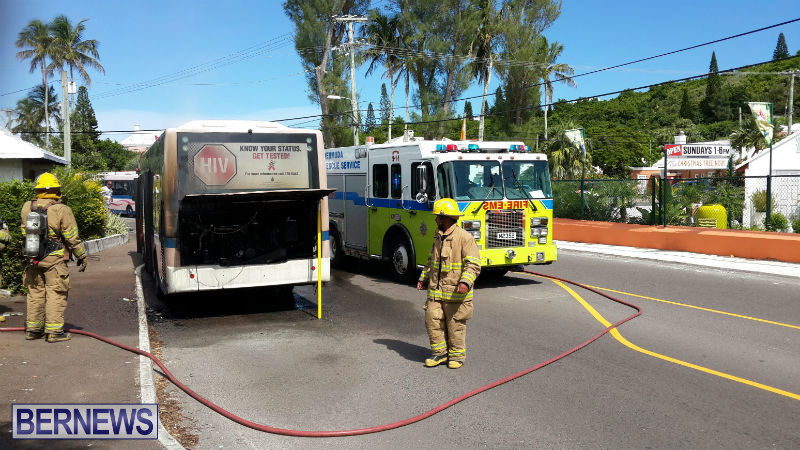 Police Media Manager Dwayne Caines said, “First responders are presently attending a report of smoke coming out of the back of a public transportation bus in the Middle Road, Southampton area near Bermuda Institute. 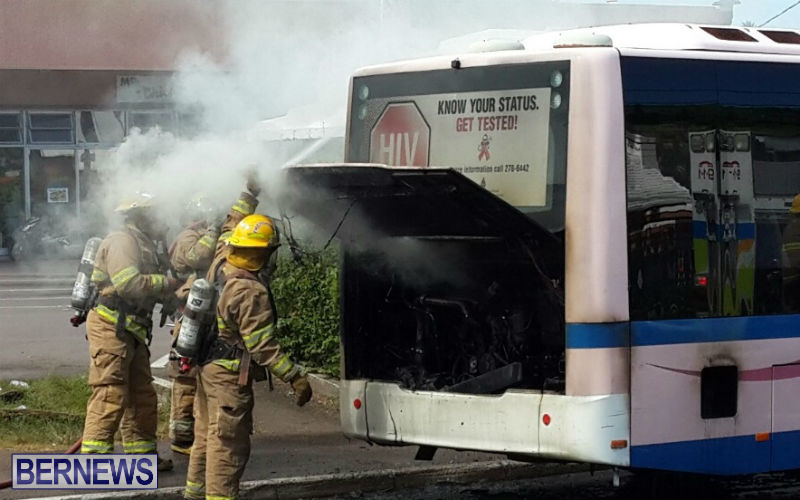 Update 3.56pm: At approximately 3:15pm today, the Bermuda Fire and Rescue Service responded to this incident. 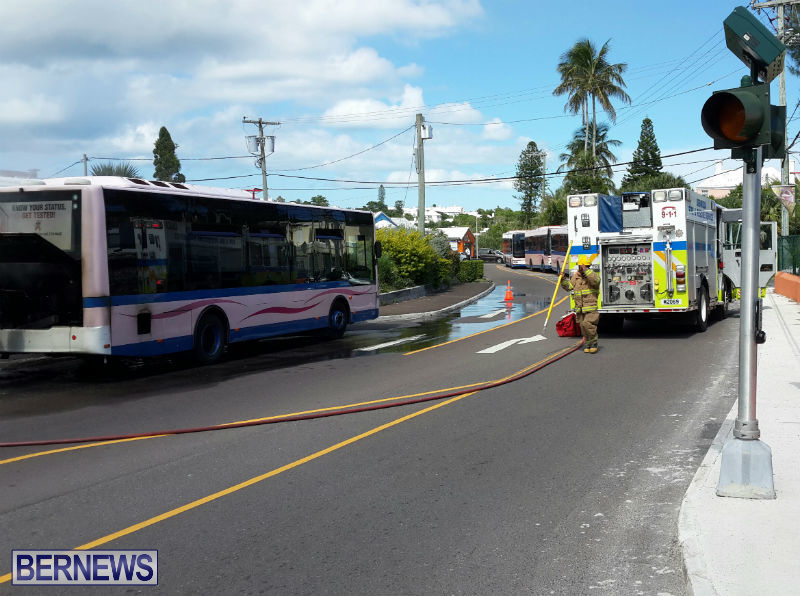 Fire Service spokesperson Sergeant Russann Francis said “The Fire Service responded to the incident with three vehicles staffed with 9 firefighters. Been riding behind buses for past few months that are spewing thick exhaust. It’s really nasty so I am not surprised. Someone tell TCD to start using their emissions testing facilities. from what i experienced in several other places the cars etc are placed with the front wheels on top of motorised rollers and a sensor in the exhaust pipe and them you are asked to press the gas pedal to get a reading !don,t know anything about readings but most i have seen here are x! I miss the good ole days of carbon monoxide poisoning from the 1970 series buses. They were sweat boxes and rolling gas chambers all in one. 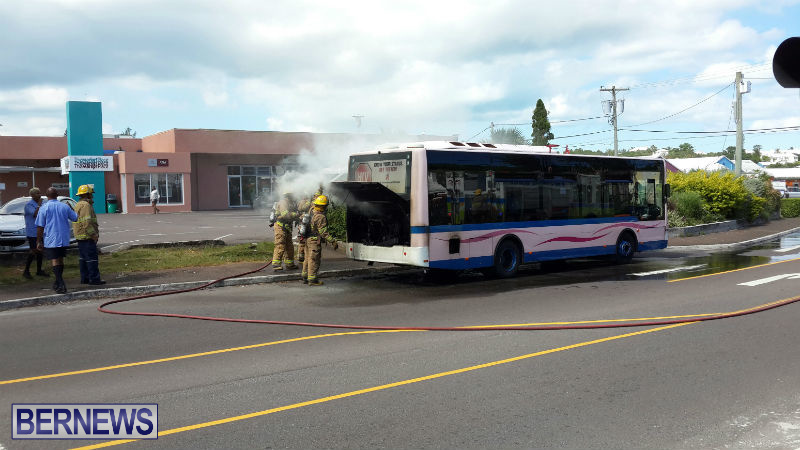 Those buses used to over heat, spew black smoke and break down quite often (seems like history is repeating itself). Isn’t that one of the new buses? jus goes to show HOW F#@KIN’ BROKE BERMUDA IS…do you hear me!..?? i don’t care who is in power… you can’t stop the crumbling of humanity as you once knew it…gotta leave it there. Granted, the buses are operating many hours per day; yet often, (if not always) after having a bus returned to H/Q by one operator it is returned to the road without first being overhauled e.g. checked out for any possible / inevitable problems. Alan…keep playing with DeSilva and see where it gets you. Fire dept. (mars well) might as well keep the bus . Use it for training .